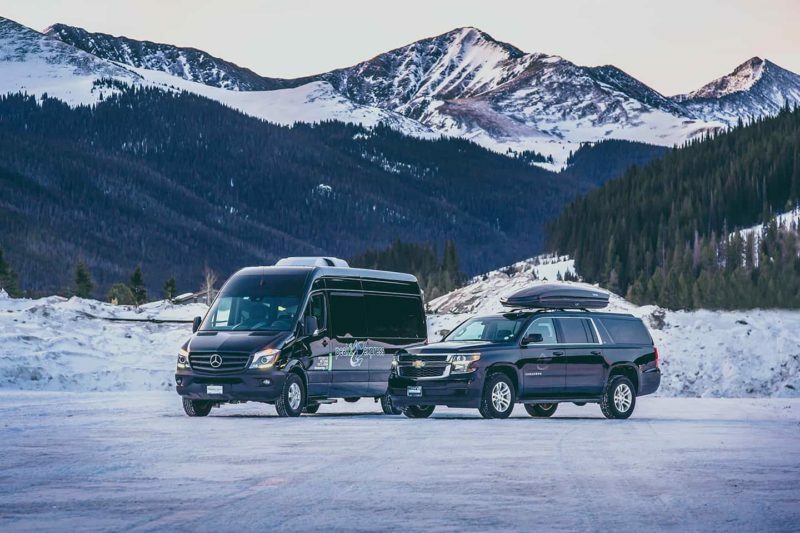 Peak 1 Express Private Service provides luxury private transportation for Denver International Airport and your Summit County, Eagle County or Vail Valley destination, and between the Eagle Airport to Vail Valley. Our new 4-wheel drive luxurious SUVs are spacious and comfortable, offering transportation for up to 5 guests. Start off your vacation right with a private ride from Peak 1 Express. Our SUVs are outfitted with free WiFi and bottled water, and we are happy to allow pets onboard and accommodate you with any stops needed. Peak 1 Express private transportation service is available for some of Colorado’s best ski resorts, including Vail, Breckenridge, Keystone, Beaver Creek, Copper Mountain, Arapahoe Basin and the surrounding areas. All Peak 1 Express shuttles offer comfort and luxury, as well as abundant space for all your luggage and ski/snowboard equipment. Looking for a private transportation experience for more guests? Our Mercedes Sprinters provide luxury private service for up to 14 guests. Give us a call at 855-GO-PEAK1 (467-3251) to schedule your Peak 1 Express private shuttle.